Engage with your customers and employees through innovative communications. We at DScape consult, strategize, design, create, host and support powerful e-media tools for every business communication need. 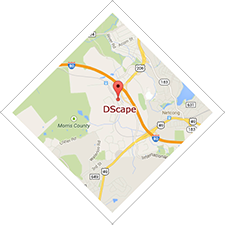 DScape delivers instant and effective communications across a wide array of users and devices. Based on a clear understanding of your goals, challenges and environment - we design the most powerful and efficient strategy to get your content to your audience the way they want and need it. From native apps to state-of-the-art video, we design success. Your learning content should reflect your organization’s greatest aspirations. It must infuse learners with the information and spirit you want each employee to embody every day. We start with research, writing, design and getting to know your audience. Then we build the most effective instruction possible within your budget and your technical delivery system — Desktop, Mobile, Flash, Video, Apps, Simulations, Role-play, Gaming, Animation, HTML5. Dscape delivers innovative training wherever its needed. No one does it better. “Partnership” is easy to say, harder to pull off. Fortune 1000 companies choose DScape as a natural extension of their internal HR department. We absorb information. We clarify, focus and offer options, explaining the implications and benefits for each path we suggest. Together we meet your instructional objectives and your budget. You’ll get a responsive hands-on team with unprecedented customer service. After 20+ years, we’re really good at creative brainstorming and devising solutions based on your unique goals. Not to mention knowing how to work within organizational structures and coordinate with complex IT departments to create a win for everyone. From compelling content and interactive engagement to custom learning management systems and innovative back-end sales support systems, we make it happen for you. We’re specialists in high-touch and custom LMS applications, including streamlined hosting and tracking systems for single or multiple courses on desktops, laptops or mobile. From enterprise LMS platforms complete with client-facing authoring capabilities to self-registration single module tracking systems, we create the ideal application for your organization. Everyone’s busy and overwhelmed with information. How can you grab attention and win market share? Engage DScape. Every new marketing initiative must add value to your current campaigns and resources. We have the experience and sophistication to fuse top technology and mobile delivery with customer-centric benefit-based messaging. We design, develop, host and support custom information and business support apps to streamline HR, security, training, marketing and back-office functions. With careful analysis, almost every organization can process information, reach more customers, or prepare their workforce more effectively with intelligently designed technical tools. DScape delivers smart content, focused process support, and end-to-end strategy to guarantee long-term success. For over 20 years DScape has been producing powerful videos for sales, training and communications. Through the use of green screen, location and studio shooting, casting, spokespeople, and role plays, we create video programs and segments as components for e-learning, marketing, and internal communications. All of which is now available for mobile devices and smart phones. CloserPro® is a customized version of CloserConnect®, designed for complex, multi-layered sales. Using CloserPro®, your salesperson walks through a wizard (with or without their customer present) to answer questions about the solution they are seeking. Each answer offers a list of your company’s products available to fulfill that solution. As the questions proceed, the appropriate products are automatically selected to create the perfect solution. Then in just minutes, a customer-branded website can be created that pulls together all the info relevant to that sale so the customer can easily share it with his/her colleagues and make a buying decision. CloserConnect® is a cloud-based sales communications and custom sales website generation platform that helps sales people close more deals faster. In just minutes your salesperson can send their client a custom website, branded for that client containing a personal message and all the information or assets they’ll need to make their buying decision. We offer SaaS as well as custom LMS development, hosting and support for organizations of any size, delivered to wide range of devices, from desktops to smart phones. Our business support apps are cost-effectively customized to deliver powerful services to widely dispersed users. Our fusion of consulting, design and strategy along with leveraged infrastructure means you get a profit-generating tool that quickly creates ROI.